What? Guided-inquiry worksheets for upper-level quantum mechanics including contemporary topics. Connect quantitative formalism to qualitative understanding and build physical intuition. 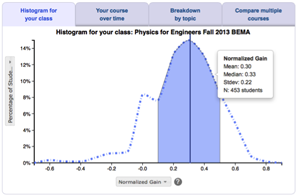 Use visualization tools from Open Source Physics. Can be used in class, as homework, or as a self-study tool. You can download all the QuILTS for free from their PhysPort curriculum page.